In 1900, the French Mission archéologique d’Indochine was renamed École française d’Extrême-Orient, with its main missions defined as archaeological exploration, collection of manuscripts, preservation of monuments, inventorying of ethnic groups, linguistic studies and, more generally, the study of the history of all Asian civilizations from India to Japan. 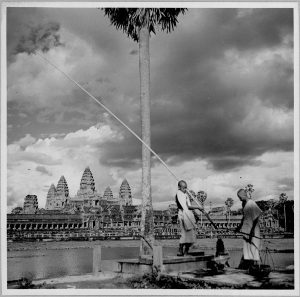 In Cambodia, in particular, numerous scholars where sent since 1907, mainly to study and restore the fascinating Angkor archaeological site. 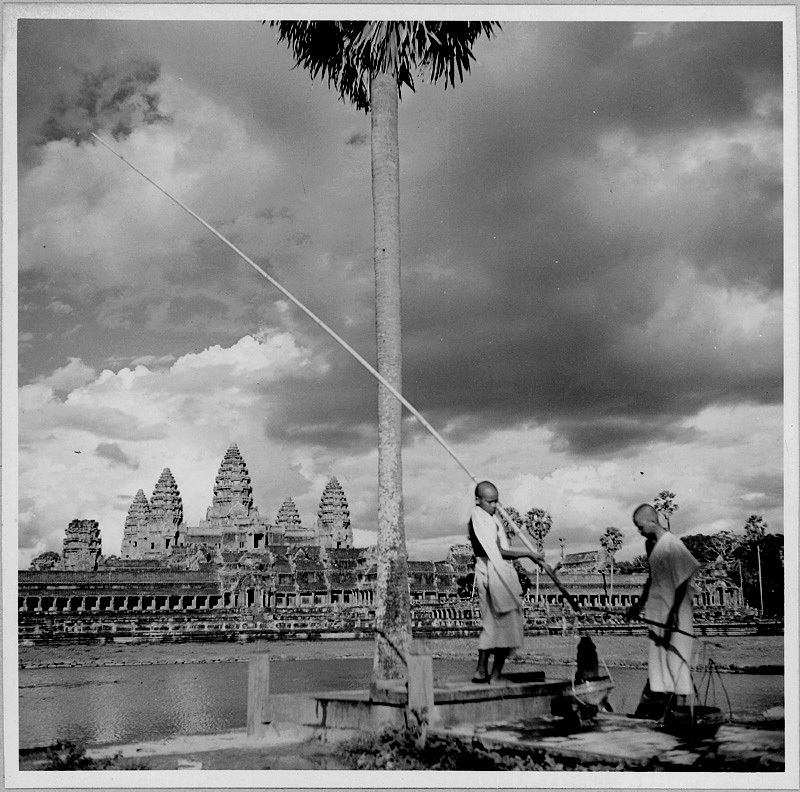 During seventy years, those architects, epigraphists and archeologists gathered notably a huge amount of photographs, and if they were of course focusing on the Angkorian patrimony, they have also been the passionate witnesses of Cambodia through the 20th century. This exhibition offers a great opportunity to discover a selection of the photographical archives of the EFEO. It tries to give an overview of its diversity, by including, of course, the work of these scholars and some of their portraits, but also remarquable daily life scenes.